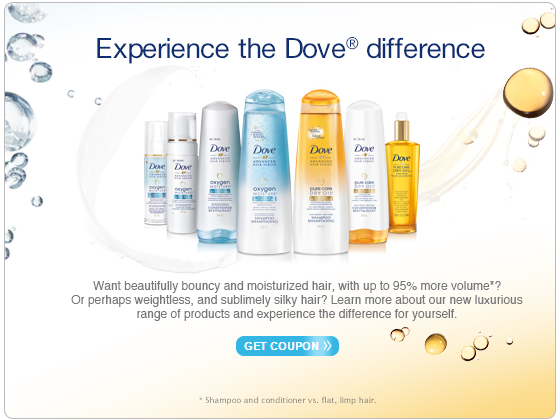 Dove Canada is offering a $4 coupon for you to try the new range of products: Dove Advanced Hair Series. The coupon is available at the bottom of this page. This coupon is printable and you will be transferred to SmartSource.ca to get it. Make sure your printer driver is updated. The new Dove range of products makes your hair beautifully bouncy and moisturized with up to 95% more volume. This new line of products is more in the high-end area of hair care products. This is why the high value of the coupon should not be surprising. Get the Dove coupon here!